Turn your most likely point of failure in to your least likely point of failure. Electronics component and module overmolding and encapsulation ensures protection against shock and vibration. Shock and vibration occurs in many ways during the manufacturing process, as well as throughout the lifetime of the product. 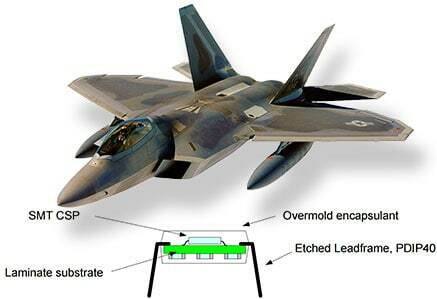 Electronics overmolding and encapsulation is extremely useful in aerospace, military, automotive, industrial and anywhere mobile and handheld devices are on the move. 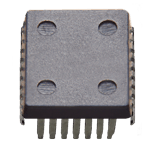 Molded Multi-Component Modules (MMCM) are designed for miniaturized, rugged applications. 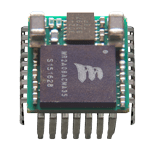 These modules can be used as a rugged SiP / System in Package, an IC replacement for obsolescence or cost reduction, or high-density memory modules. MMCM solutions improve cost and reliability for custom applications.